There are four different sculpts of Familiars in the Silver Tower box. Three of them are specific call backs to old 1980s Citadel familiar designs, with Slop being the odd one out. As far as I am aware, Slop isnt a reference to an old figure, but is a reference to an 80s Ian Miller illustration. Im not certain that its this particular illustration, but its that sort of vibe. Its also possible that its a reference to something from Mordheim, which had a fish motif running through it. Slop is a nice design evocative of the weirder side of Chaos in the Warhammer setting. The model was fun and easy to paint as shown. As with most (possibly all) of the miniatures that I am painting for Silver Tower, the colour scheme ties it in with my Shonen Knives fantasy force. Blot is based on this classic familiar. I am itching to paint the classic model now too. 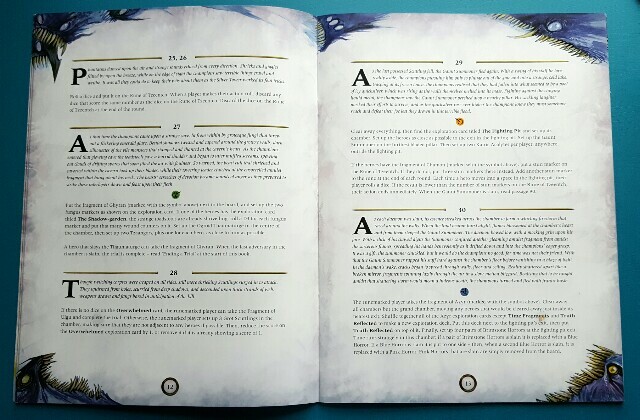 I wasnt sure what to paint on the pages for a while, but I knew that I didnt want to leave them blank. My freehand isnt really up to this sort of detail, but I figured that I wont ever get better unless I work at it, so I tried to make the pages look reminiscent of the pages in the Warhammer Silver Tower Adventure Book. I painted Blot to look like it represents a haunted book, rather than a book made out of daemonic meat. The book itself is solid matter but the body parts are ectoplasmic. That ties it in a little better with the other tzukomogami that I plan for Blot to hang out with when outside the Silver Tower. But y’know, I dont think that anyone will object if you choose to paint yours meatier. L to R: Blot, Daemonette Familiar, Slop, Dragonette familiar. Thats my first two Silver Tower figures painted. They are tiny little things, but they were fun. Two more Familiars next I think, then some Tzanngor after that. The iridescent finish on the fish is amazing! What an effect. Overall,two excellent little figures. Certainly, not everyone bothers to put this much effort into minor characters. I tend to treat all models roughly the same in terms of how I paint them. I occasionally drop the standard a little to paint a horde of rats or similar, but generally I treat them all roughly the same. I enjoy painting familiars, I get pleasure from being able to spend a little time on extra elements of them because they will be finished rapidly regardless. In another dimension Im a 15mm painter, Im sure of it. Incidentally, the Familiars in ST are quite characterful and significant. They show up under certain circumstances and each penalise the PCs is specific ways which become well versed in rapidly In many repects they are more the most significant “characters” in the game (the Boss characters – the Ogroid Thaumaturge and the Gaunt Summoner – are seen relatively rarely in comparison). Excellent work, the freehand looks good to me! Thanks Warburton! The freehand is certainly adequate for its requirements. 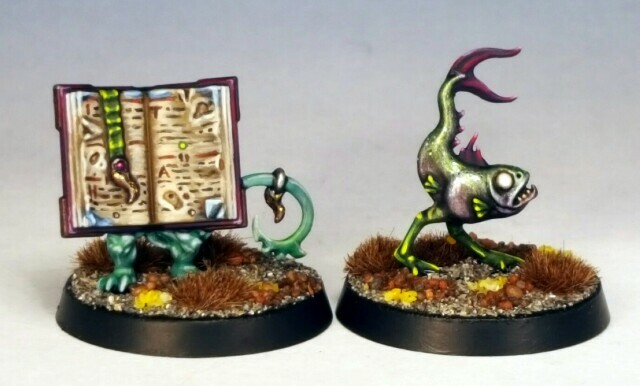 Both the scales of the fish and the book freehands came out beautifully. I do like the familiars from the set, your paintjob is better than the studio one and gives them more of an old Rackham vibe. I could see myself getting the familars for Frostgrave or something else. See, as I told you, your paintjob is already enhancing the sculpts for me to the point where I get interested in painting them myself.. 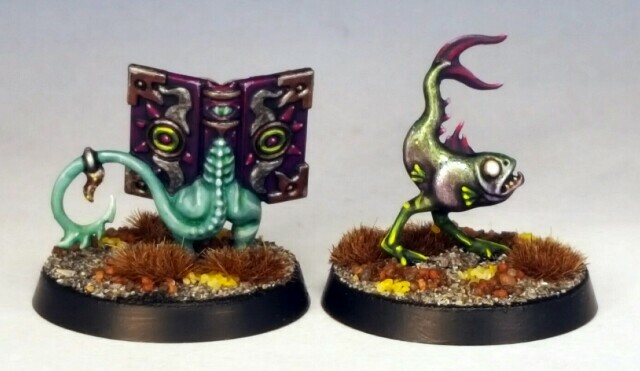 The GW studio has painted two sets of the familiars for use in the ST box art etc. Both sets are painted to a very high standard and to a technical level much higher than mine. That said, the fish scales came out exactly as I had hoped, with fairly minimal effort. My sci-fi fishmen have moved up the painting queue as a result. A set of the Silver Tower familiars is relatively cheap on the second hand market if you feel like picking them up. I am sure the technical level is very high of the studio paintjobs, put I think your vision for the familiars was better and as you say, very well executed :). Great start mate, the eyes on Slop are really very cool, and the freehand on Blot is brilliant! I don’t know why you’re talking your freehand down mate – looks great! The familiars are nice models to paint, Im sure that you will enjoy painting yours. They both look beautiful, seriously. 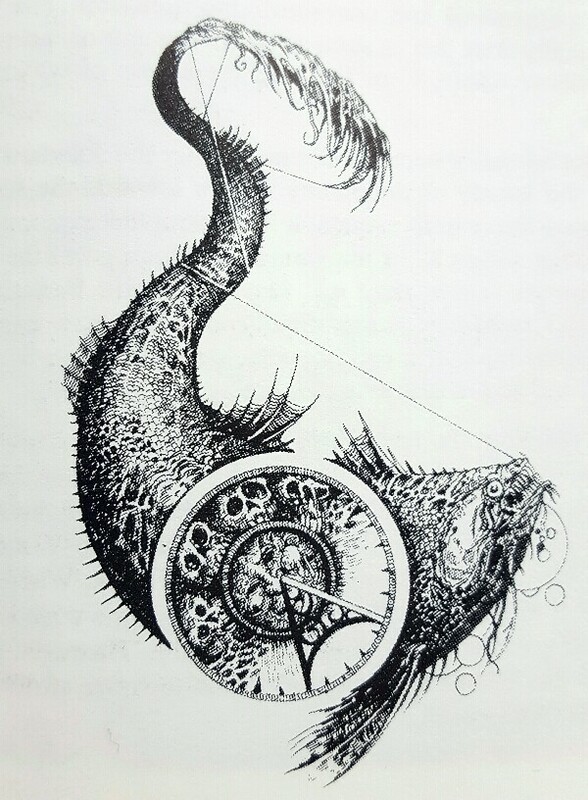 As everybody is pointing out, the whole fish appearance and the book freehand look enormously realistic. Brilliant work!! Im looking forward to painting more fish as a result. Lovely work on both of these little guys. Slop is very much a rune of Tzeentch on little legs! Im pretty sure that I have seen a walking fish illustration almost exactly like Slop somewhere over the years, but the closest that I could find was the image above. Its a nice little miniature icon alright. Nothing new to add, accept more praise; cracking job, your painting is gorgeous. Thanks for the kind words ejhenries. Barring disaster there will be at least another ten Silver Tower miniatures in this project and likely fifty or so. I hope that you will like them too.